Toyota had great momentum throughout the latter stages of the 2014 WEC season, winning three of the last four races. 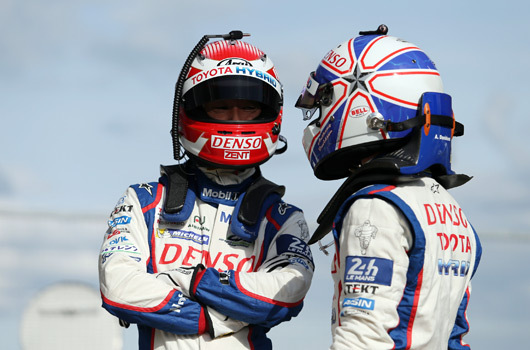 Anthony Davidson and Sebastien Buemi were crowned world champions. 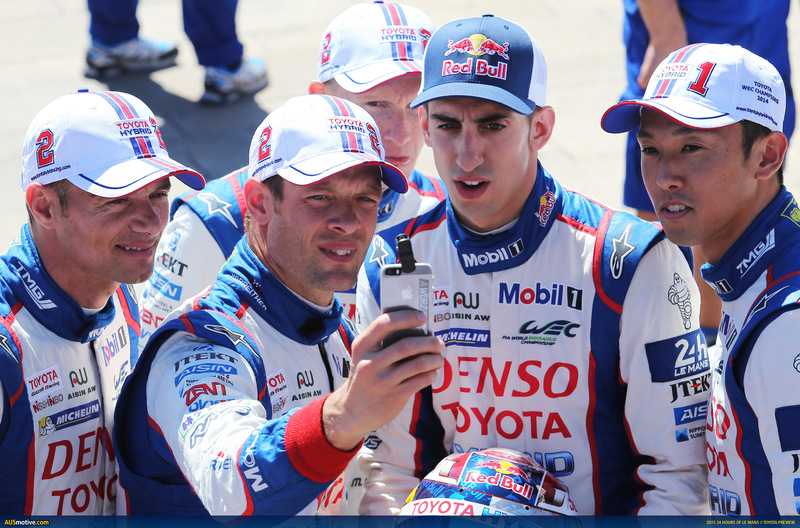 Unfortunately for Toyota that momentum has not carried through into the 2015 season. The team finished fifth and eighth at the season opener in Silverstone, although improved to finish third and fourth at Spa. But the TS040s were off the pace in the recent Le Mans official test session. Foxing? We don’t think so. However, the great thing about Le Mans this year is that any of the four factory-backed LMP1 teams would make a wonderful winning story. 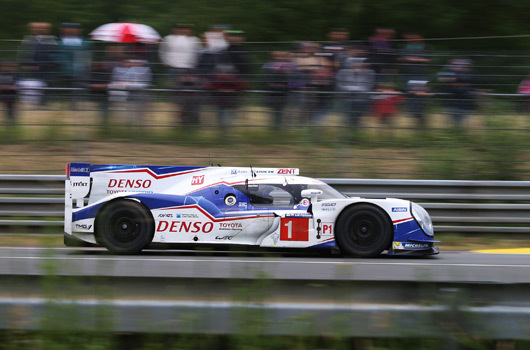 And Toyota is clearly no exception there, it would be a well deserved win if Toyota can rise to the top step of the podium after the 24 Hours of Le Mans in 2015. 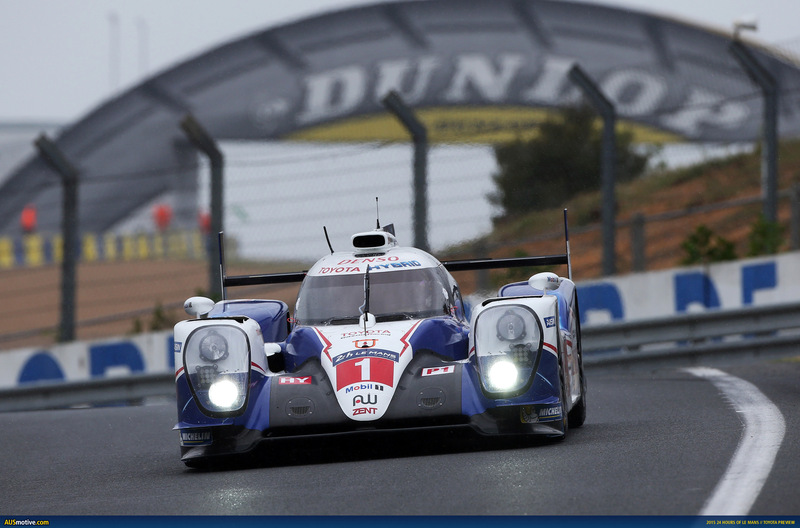 It’s the only step on the Le Mans podium Toyota is yet to conquer. 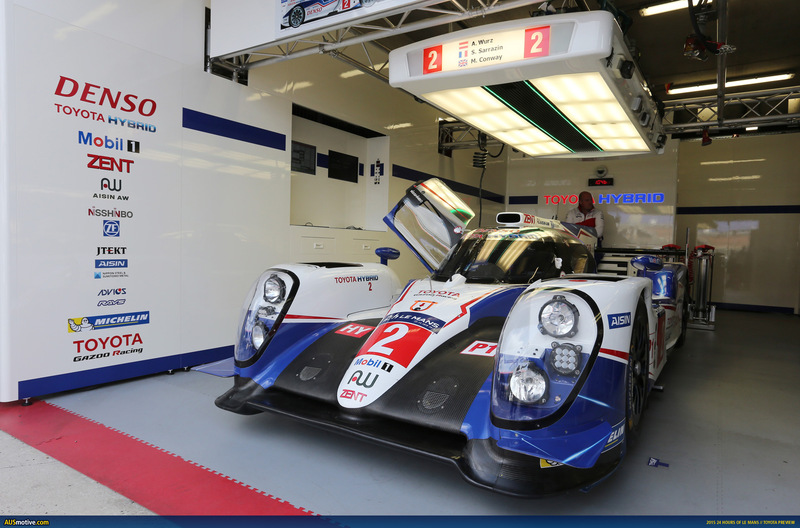 TOYOTA GAZOO Racing is prepared and ready for the highlight of the World Endurance Championship season; the Le Mans 24 Hours race. 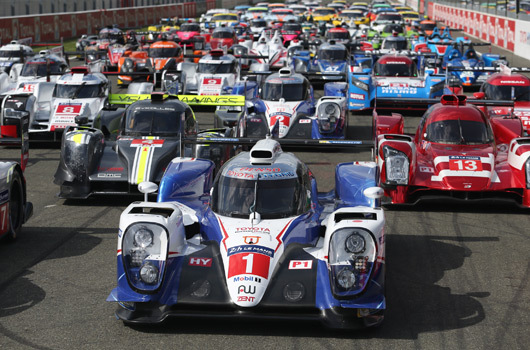 Over 250,000 spectators will witness the 83rd running of the famous race around the 13.629km Circuit de la Sarthe, which is part public roads and part race track, with four LMP1 manufacturers doing battle to win the world’s oldest endurance race. 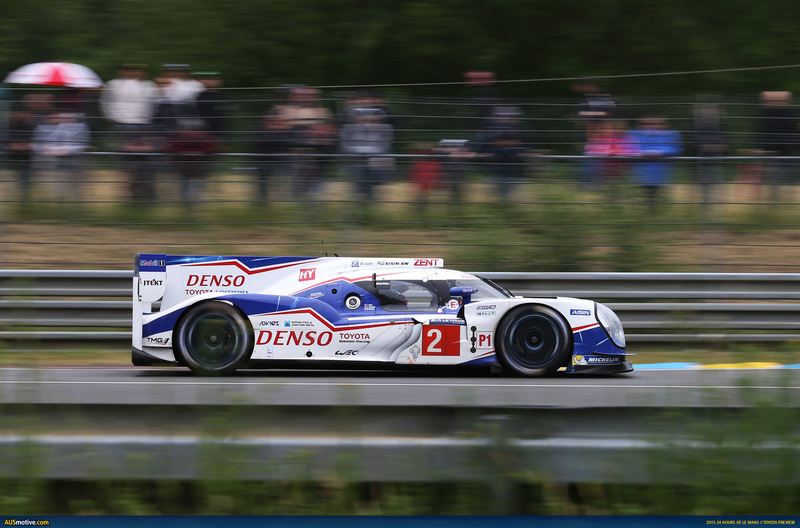 World Champion TOYOTA enters two TS040 HYBRID cars, both featuring Le Mans-specification aerodynamics designed to reduce drag and optimise top speeds on a circuit where cars exceed 330km/h. Compared to the car seen already this season, the visible differences are on the rear wing, engine cover and front bodywork. The #1 car sees drivers’ World Champions Anthony Davidson and Sébastien Buemi joined by Kazuki Nakajima, who earned pole position for Le Mans last year with the fastest lap of any qualifying session. Kazuki returns to racing after a rapid recovery from a back injury sustained in practice for the Spa-Francorchamps race at the beginning of May. 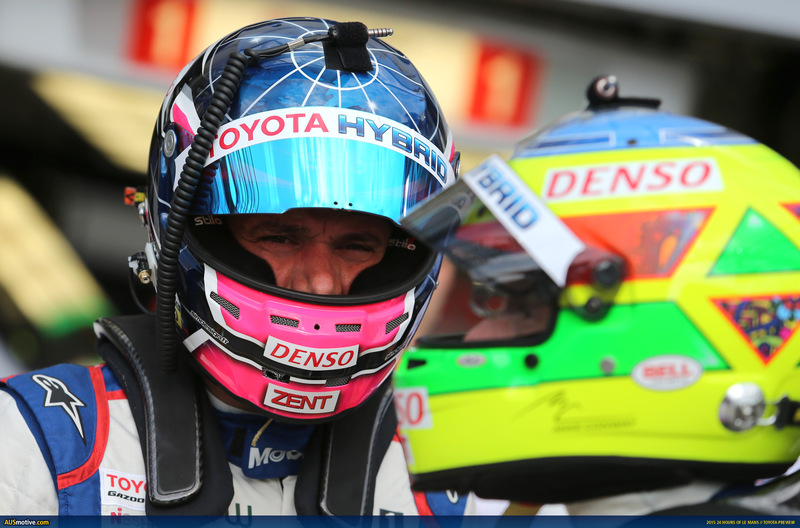 His recovery was confirmed with a trouble-free test on 31 May and he will race in his fourth Le Mans. 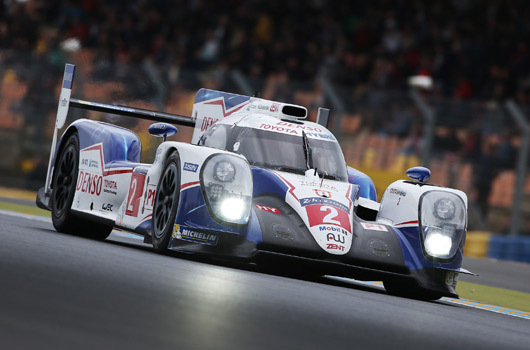 In the #2 car, two-time winner Alex Wurz is joined by three-time pole position man Stéphane Sarrazin and Mike Conway in his second start at La Sarthe, his first in LMP1. This year marks a special anniversary for TOYOTA as it represents 30 years since the company’s first official entry at Le Mans. Coincidentally, that original 1985 entry featured Satoru Nakajima, the father of current racer Kazuki. 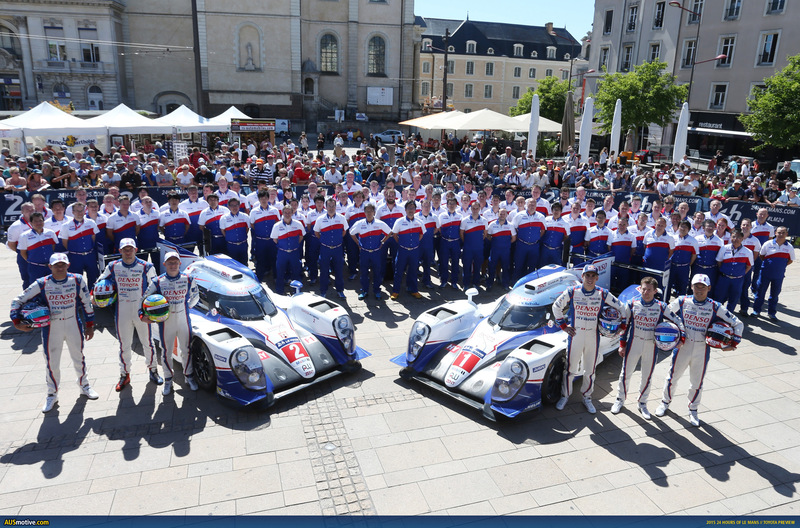 The 2015 Le Mans 24 Hours is the 17th time TOYOTA cars have entered the race over the past 30 years. Throughout the past 16 attempts, 40 separate cars have raced, with a best finish of second place (1992, 1994, 1999 and 2013). During that time, drivers such as ex-Formula 1 World Champion Alan Jones, F1 race winner Eddie Irvine and three-time Le Mans winner Allan McNish have driven TOYOTAs. A year ago, the #7 of Alex, Stéphane and Kazuki started on pole and led for most of the race before an electrical problem forced its retirement, while the #8 of Anthony, Sébastien and Nicolas Lapierre recovered superbly from an accident to finish third. A difficult start to the 2015 season means TOYOTA travels to Le Mans searching for a first win of the year, knowing both cars face tough competition in the hotly-contested LMP1 category. 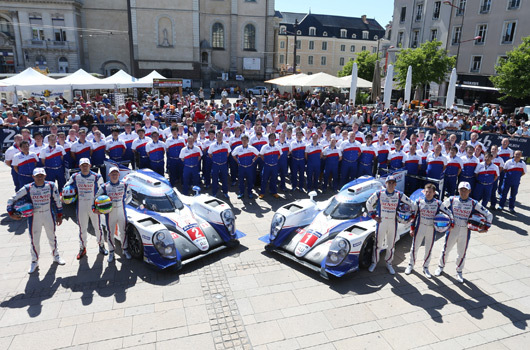 But thorough preparation and knowledge of the unique demands of Le Mans, as well as a positive test day last Sunday, mean the team heads to La Sarthe quietly hopeful that it will be a contender in the fight for honours. As an event, Le Mans is a true endurance challenge, with almost 35 hours of driving until the chequered flag waves, starting on Wednesday 10 June with a four-hour practice session at 16.00 before two hours of qualifying begin at 22.00. Qualifying continues on Thursday with a two more 120-minute sessions (19.00 & 22.00). The starting grid is decided by the fastest single lap from any of the qualifying sessions. The traditional drivers parade in the city centre on Friday afternoon gives fans a unique chance to meet the drivers before race weekend, which begins with a 45-minute warm-up at 09.00. The race starts at 15.00 on Saturday.